Happy Valentine's Day everyone! I love this holiday and use it as an opportunity to tell the people who are most important to me how much an impact they have on my life. I'm grateful to be surrounded by friends and family who know who I am, inspire me to be the best person I can be, and keep everyone laughing along the way. Give your loved ones a big hug today. To celebrate, I'm happy to share this fun feature I worked on with my editor Holly for Refinery29. 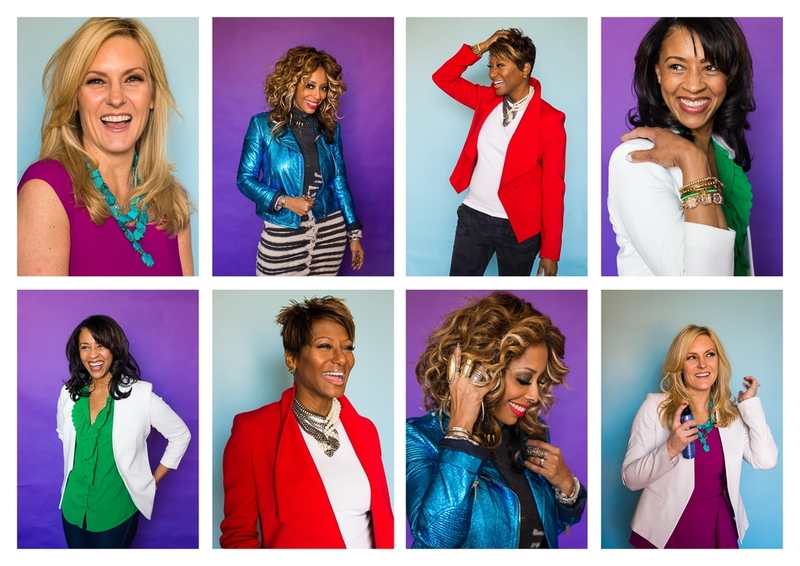 We featured 5 women over 40 who have apparently unlocked the secrets of eternal youth. As each woman stepped across our seamless we were completely unable to accurately guess each woman's age, and collected dozens of pearls of wisdom about how to stay looking fresh for years. The top tips? Across the board, every woman we interviewed preached the values of daily sunscreen (SPF 30), establishing a nightly cleansing routine, and above all, drinking TONS of water. While this is nothing new, to hear each platitude repeated drove it a little further home, and I've found myself religiously guzzling more water ever since. Bottoms up! Here are some of my favorite outtakes from our shoot. Many thanks to our subjects: Shirley Gordon of Strands Hair Studio, Angela Sitilides of Bellacara, Lisa Scroggins of Room & Board, Dr. Tina Alster of Washington Institute of Dermatologic Laser Surgery, and Monica Barnett of Blueprint for Style. You ladies are ultra-inspiring!